Thank the Lawd…my water is back on!! Yesterday was a bit of a tease. 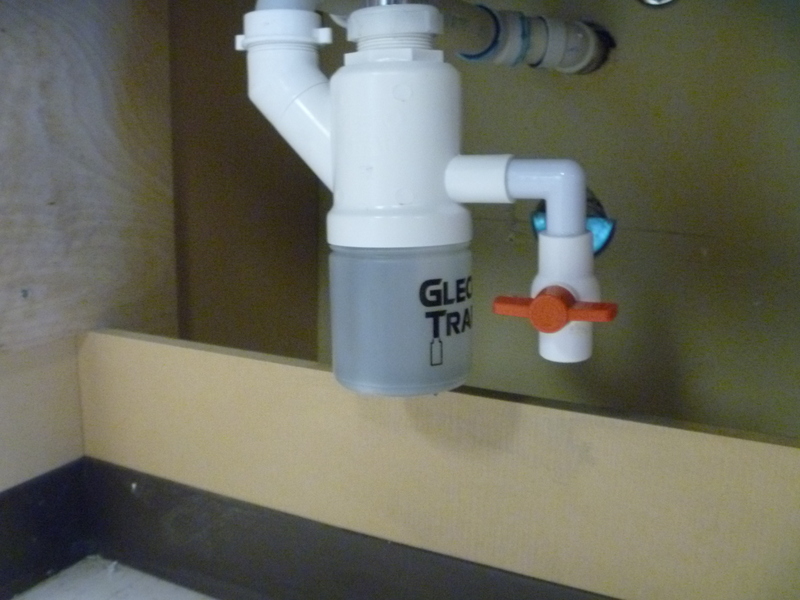 The plumber showed up with my Gleco traps. I was super excited. He got down on the floor and started to do some stuff under the sink. Then all of the sudden he was gone. And I was sad again. However, he showed up again this morning and picked up where he left off. 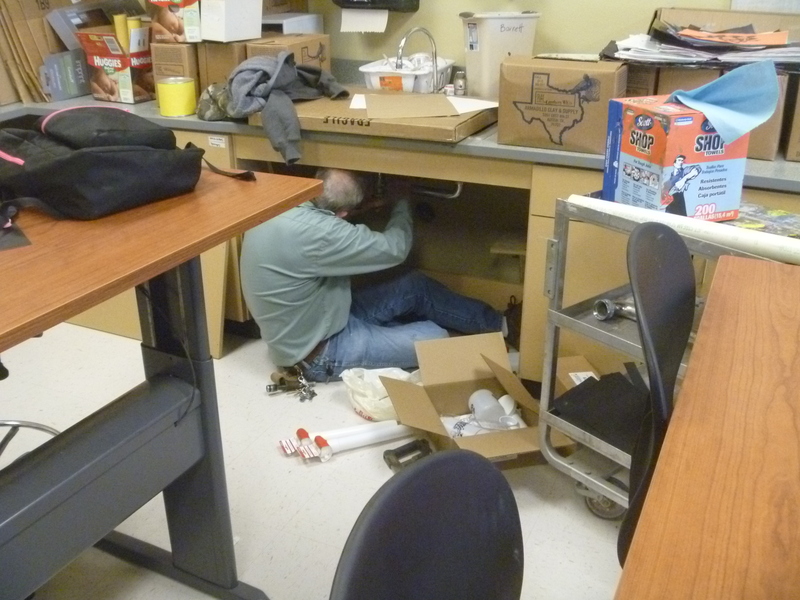 He finished installing the traps and was on his way. 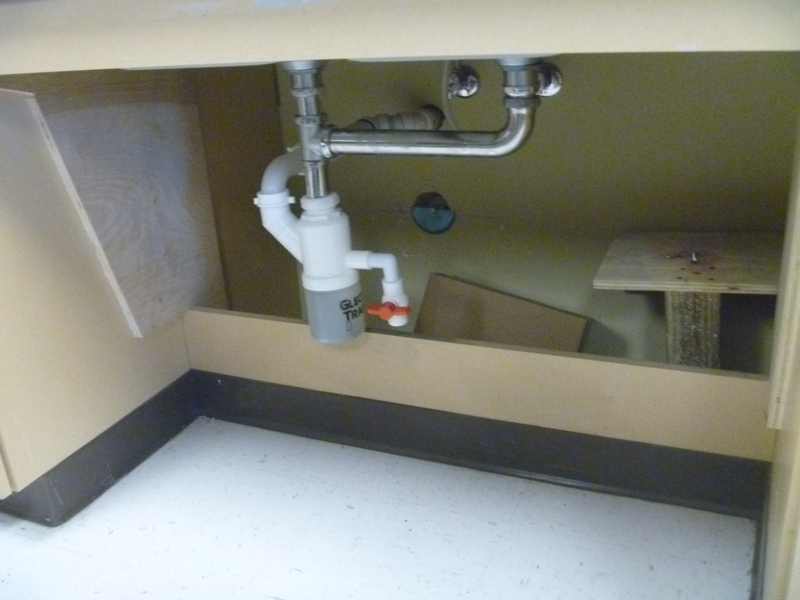 Now, there is one last thing to do because someone in the district doesn’t want the under sink area exposed. I guess the pipes might feel neked. And, by mid morning, my water was back on!!! Cue the angelic choir! I am so excited to no longer have to bring buckets on a cart to get water from next door.